The bag also has a two way 7/8th length zip (nearly to footbox), insulated draft tube, draft collar with elastic draw cord, and two hang loops on the outside of the footbox. Size at Hip: 58 in. Size at Foot: 43 in. Stuff Sack Weight: 0.8 oz. 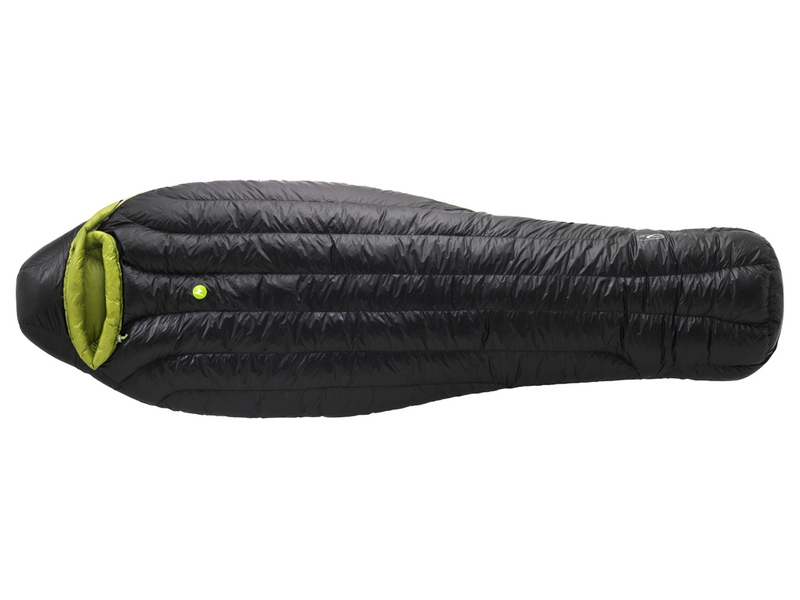 The Marmot Plasma 30 bag caught my attention due to the high quality of down used in it along with the touted vertical baffle system that supposedly saved weight and offered advantages of moving the down around. There are some other brands out there that I’m already a dedicated customer of, but I thought I just had to give this a try. That said, going in, I was skeptical about DWR performance and the ability to move down around with their baffle design. The bag arrived unstuffed in a decent sized cardboard box. The stitching and attention to final detail appears to be of excellent quality. The included stuff sack seems waterproof except for at the seams. Including a stuff sack that is water resistant except for extended submersion is something that all manufacturers should do, all the more so for down bags. Marmot definitely gets kudos for this, as it is not standard practice across the industry, at all levels of price and quality. The lining and shell material is nice to the touch, but feels flimsy. That said, at this point I have a fair amount of experience around lightweight fabrics and know that while they can feel light, they are often stronger than one would expect. I attempted to move down around in the bag and could certainly move it from top to bottom to a decent degree (mostly done by a ‘petting’ motion as if you were petting a dog or cat, if you firmly do this you can migrate the down). That said, you cannot migrate down from the top of the bag to the bottom, or vice versa. There are similar weighted and warmth bags that offer this, and, frankly it seems like a weakness of this bag—that there is a special technology for moving the down up or down the bag does not matter, people tend to move down from top to bottom. I have used this bag a few times so far. First was cowboy camping (under the stars) before the Wallowas trip (See Eagle Cap trip report). The bag certainly kept me warm though it was probably not much colder than 50°F out. I was very happy it had a two-way zipper so that I could keep it secure around my upper body while being able to vent the lower torso and upper legs. I had a little trouble with the zipper where it has a slight curve near the head. Next I used it in Goat Rocks for a night when it got down to a frost level. My feet felt cold but I believe this is because the foot box is a bit bigger than I'd like. As I'm a fairly small statured person, there is a lot of room in the foot box. I stuffed a jacket down there and this took up the dead space and seemed to make the difference for me. Cowboy Camp again, slept outside by Pole Creek Trailhead before climbing North Sister. This night was clear, windy, and cooler. The bag's hood kept me quite warm. However, again with the zipper problem. Finally, I used it at Jean Lake in the Mt. Hood National Forest on October 29th. I expected this cool and clear night to be a great test of the temperature limit of the bag. However, the next day's weather front moved in quicker than expected and midway through the night we awoke to mist and rain. Due to a rather brilliant move of forgetting a tent pole, the foot of our tent was not kept up off the foot of our bags. Thus there was a ton of condensation and outright mist all over the bottom and side of the bag. The tent was totally soaked against it, and I was worried that the down would be getting wet. However, as I felt the foot of the bag, it truly seemed like the down was fully lofted and not getting soggy or clumping. This really proved that the DWR coating was sufficient! That said, we ended up packing up then because we knew serious rain was coming soon enough. So, I cannot say how many hours the bag can withstand such moisture, but certainly brushing against tent condensation should not be too serious of a worry. -Small snap-close or folding pocket near the top of the zipper by the head to put things like a watch, headlamp, or phone into. This would be infinitely useful. The bag is warm and top notch quality. It is light weight and gets the job done on that front. I still want to test it to its (or my) lower temperature limit. For the price, warmth, and weight, the MSRP seems way too high. 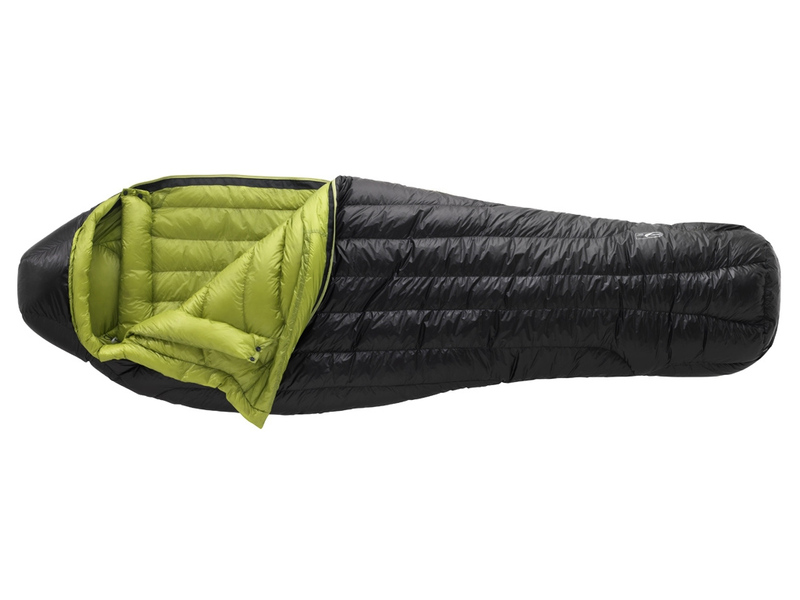 Western Mountaineering, Feathered Friend, and cottage quilt companies make bags of equal or lesser weight, equal or greater warmth, and lower or equal price. The Insotect vertical flow gate baffle hyper mega chamber ultra down aggregator is just that, hype. And marketing. 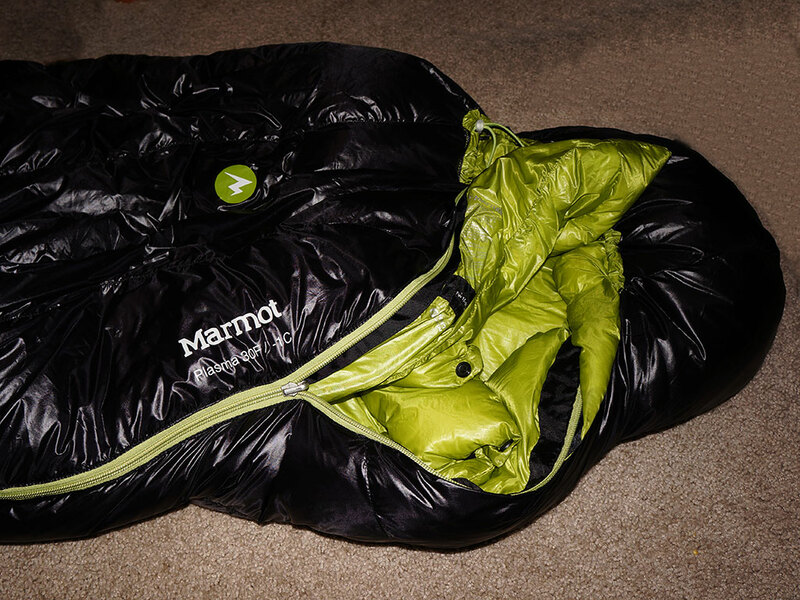 If the above companies can demonstrate comparable product warmth and weight for similar or less cost, Marmot may wish to look elsewhere than baffle design to make a light-weight bag, as the vertical baffles truly offer less utility than horizontal ones.